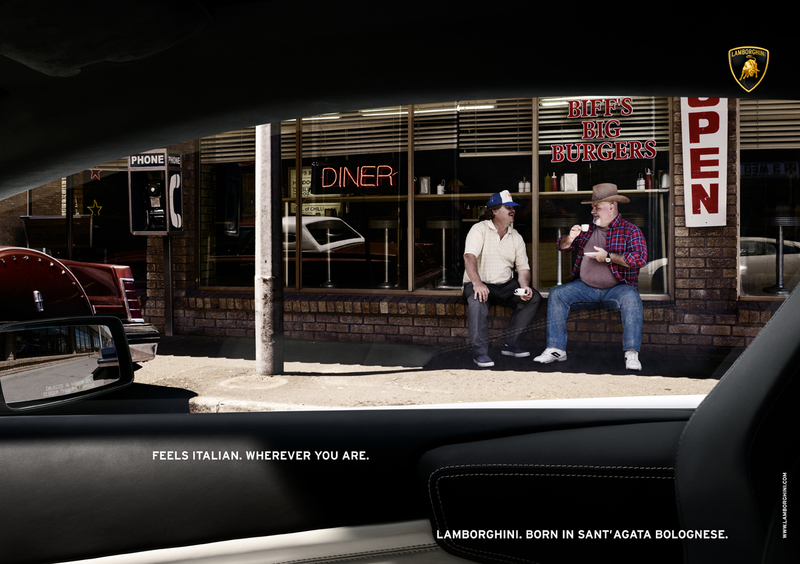 From Philipp und Keuntje GmbH in Hamburg comes a campaign for Lamborghini which doesn't attempt to illustrate what is already known - that Lamborghinis are really fast Italian sports cars. Rather, the campiagn focuses on what life is like from behind the wheel of a Lamborghini even when in very un-Lamborghini-like locations. If you weren't already skeeved out by Dov Charney and his racy (pedophilic?) American Apparel antics, you will after watching this CurrentTV Super News video which takes a look behind the scenes at Dov and his t-shirt fetish. Dov calls this success citing America Apparel's role in helping America out perv the top five pervy nations "by a perv factor of six and a half inches." 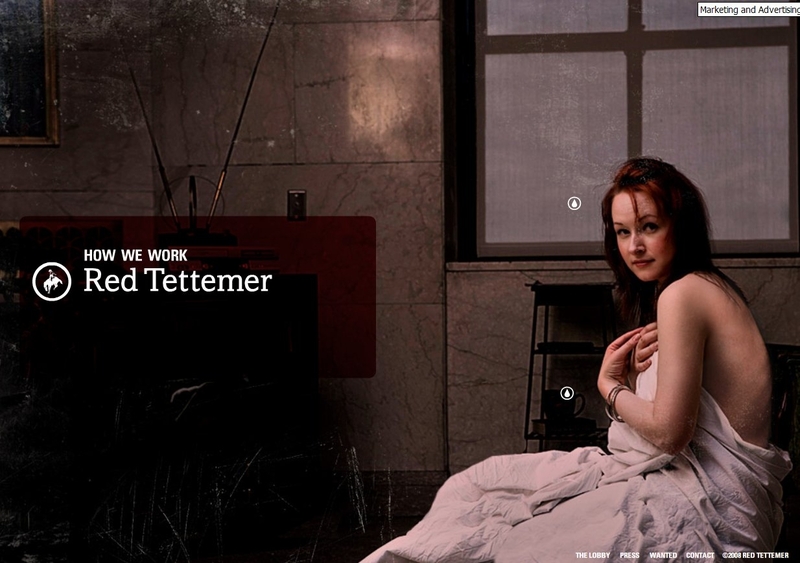 AdFreak's Tim Nudd stumbled upon a recent incarnation of the Red Tettemer website and found the agency has redesigned the site in an ode to the drama surrounding Miley Cyrus and her recent Vanity Fair shoot. On the site, Red Tettemer Creative Media Strategist Rachel Timmerman is posing just like Miley did for for that famous Annie Liebovitz shot of her in a sheet. Any ad agency employee that's willing to out themselves out there like that gets a gold star from Adrants. 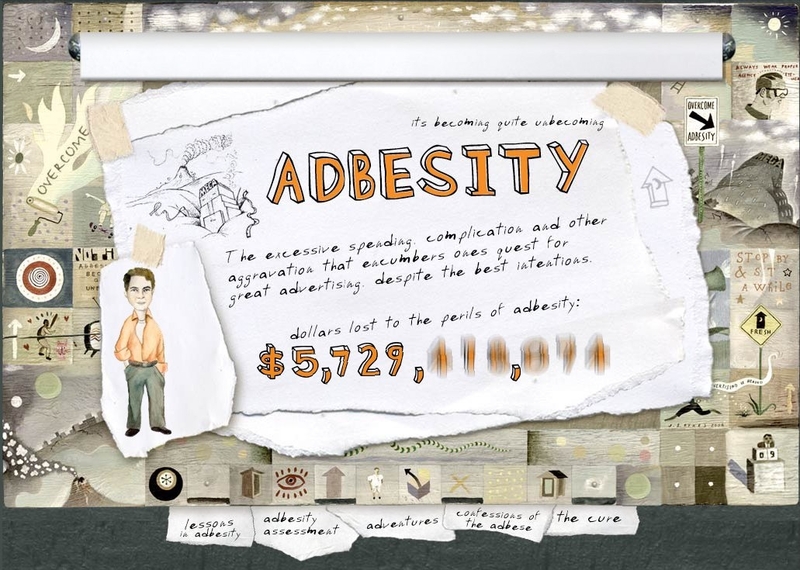 There was a wee bit of excitement when first visiting OvercomeAdbesity and that excitement was warranted. The site asks, "Am I Adbese?" and proceeds to analyze all the pitfalls of an industry that has gone from mostly independent, free thinking agencies with defined styles and characteristics to faceless conglomerates with the personality of that weird guest star on Boston Legal. So how to you promote the opening of a new tower at Harrah's hotel in Atlantic City? You hire hot models, have an artist paint their bodies and parade them around cities across the Northeast, of course. Oh, and you also give away...for free...all 945 rooms in the tower for one night by having the hot, painted models hand our room keys. Yesterday, the promotion took place near Wall Street near 100 Broadway. Peter Shankman, the mastermind behind the promotion, sums up the day on his blog (with pictures of the hot models, of course) and offers up tips for those considering similar marketing events. Needless to say, the models attracted all kinds of attention and all the keys were handed out. Last week, writer Stephen Baker of BusinessWeek wrote a collaborative article with Twitter users. The compilation took several days and generated more than 250 contributions, including quotes and citizen reporting. The result, "Why Twitter Matters," was published today. (Expect tons of linkbacks to individual tweets, not to mention gratuitous use of "tweet" itself.) Looks like the stream-of-thought community just won a new convert. Hey, Baker. Think Twitter ex-architect Blaine Cook looks anything like Jesus? For MTV and the Burma Arts Board, Shilo and Ogilvy & Mather/Amsterdam created the "Burma Viral," which will air on MTV's Times Square Jumbotron and elsewhere around the world. 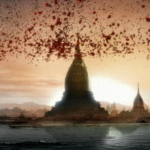 The film depicts war planes lifting off all over the world and meeting over Burma. I watched with a pinch of irritation as their hatches open, expecting bombs and the requisite sight of human suffering, but -- unexpectedly -- the planes rain a canopy of flowers over the cityscape. In the course of his Presidency George W. Bush has both enraged and made us laugh, often at the same time. We've seen plenty of ways where his unique talent has manifested in reactionary advertising. Sometimes the results are funny, sometimes they piss us off, and often they do both at once. Either way, it's become impossible to leave the States without a good sense of humour -- or an iron-on maple leaf. 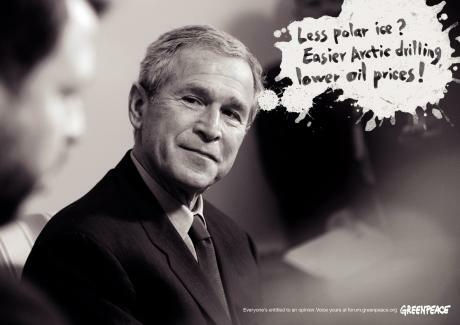 Ivan of CreativeBits put together an invaluable collection of print ads where Bush is the star. This close to November, it almost makes us fond of the guy -- the way you grow fond of a stooge you're about to screw over in a drug bust. Kankles! I haven't heard that term in a while. But it's one of the many things uttered during the walk of shame the morning after you've bedded someone who's name you've now completely forgotten and who's clothing you are probably wearing. Well, thanks to AMP Energy, shame is a thing of the past and we can all now hold our heads high as we march home proudly remembering the prior evenings dalliances with glee and song. I bet subway stations are among the most bountiful wellsprings of suicidal feelings. They are generally ugly, reeking of piss and bad food, and we get stuck at some such place for longer than we'd like, contemplating the person and/or creative career we failed to pursue. No wonder people fling themselves into the tracks. 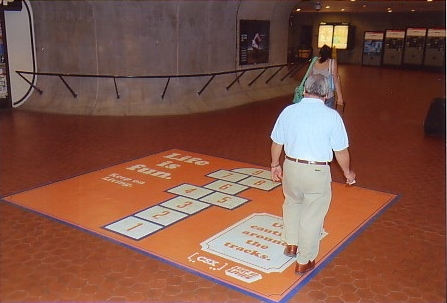 Exit10's "Life is Fun" campaign for Washington, DC METRO gives commuters games like hopscotch and I Spy to pass the time. The message: "Life is fun. Keep on living. Use caution around the tracks."